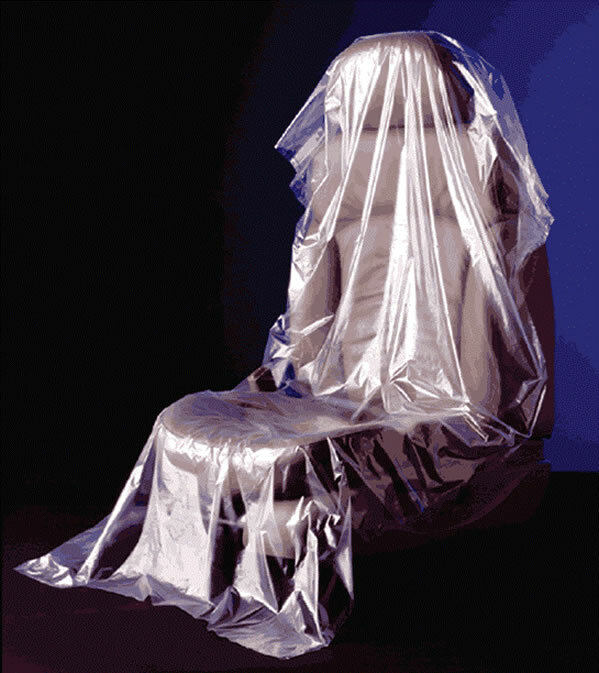 The Slip-N-Grip Plastic Seat Cover Advantage: The top (outside) layer of the seat cover is smooth, so porters and service technicians can "slip" in and out of the vehicle easily, allowing them to work faster without the need for extra caution. The bottom (inside) layer of the seat cover is formulated with a high friction plastic so that it can "grip" itself into place. This layer keeps the product in place for continued protection. Shipping Cost: Special Note - This item cannot be shipped via USPS Priority, so there is an extra charge for shipping to Alaska and Hawaii. We will contact you before shipping to inform you of the extra shipping cost and get your approval to charge your credit card. Please also feel free to call us first before ordering and ask for a final shipping estimate. COMPARE OUR PRICE to Great American Automotive Products. THEY'RE MORE EXPENSIVE … American's Price is 250 @ $200.00 (DPSC1) ... for their house-brand seat covers. Tymberly Auto Transport we love your products. They keep our customers very happy.